We organised the visit ourselves and . rented a modern studio apartment in a fine 15th century merchant’s home in the centre of old Tallinn. We explored Tallinn and the history of Estonia, buildings starting from the Danish invasion of 1219 (when Denmark miraculously acquired its flag dropped from the sky), many 15th to 17th Century buildings, through to 1950s Russian, up to the 2006 Kumu modern art gallery. We visited Lahemaa National Park, pine woods and coast and 18th Century mansions of Baltic-Germans who owned the estates and the serfs. We went to the university town of Tartu, mainly 18th and early 19th Century buildings. There is also a fine open air museum in Tallinn, farm buildings etc brought from around Estonia, many from islands which escaped collectivisation by the USSR. 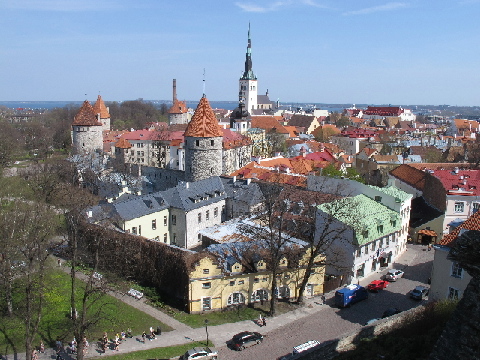 Estonia only has just over a million inhabitants, only became independent in 1920, then from 1940 was occupied by the Russians, then the Germans, then the Russians again, and was independent again from 1991. Amazingly the Estonian language (which is like Finnish) survived all the occupations. David expressed a desire to swim in a warm sea so in June we headed for Malta and stayed in a resort at St George's Bay a short distance from Valetta. This visit was a group organised by Riviera Travel. The resort was perched on a rocky headland overlooking a small bay but with access to the sea. The weather heated up and we enjoyed swimming, eating good food whilst enjoying the seascape and exploring the island with its fascinating history. 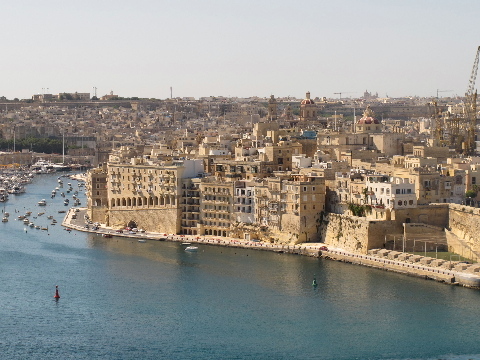 Valetta was developed in the 16th and 17th centuries by the Knights of St John on a rectangular grid, the first planned city in Europe. In the museum there we saw megalithic art 5000 years old. We visited megalithic temples on Gozo and the main island, had fish lunches in small coastal villages, and visited catacombs used for burials in the 3rd to 8th Centuries AD. With a Roman villa, and a castle built by the Arabs in the 9th Century AD, there is a great variety of sightseeing. Then each day back to the hotel for a swim off the rocks - we even had a couple of days just spent at the resort. Our last major trip was to Copenhagen in October. We thoroughly enjoyed the party which Anna gave for family and friends to celebrate finishing her Master’s degree (cand.polit) in economics from Copenhagen University. The party was held from 3 pm to 6am in a bar room at her student hostel - we left at 10 pm, the students continued to 6 am, and we went in later that morning to help clean up. 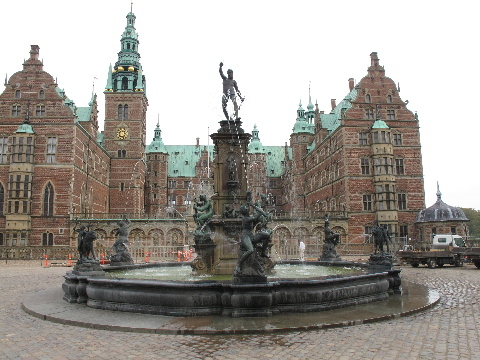 We went to Frederiksborg with Chris and Else, explored central Copenhagen incliding the opera house by ourselves, walked by the lake and in the woods. A highlight was Culture Night with Chris and Else. We started in the early evening exploring Rosenborg Palace by torch light, saw some army displays and a military tattoo ceremony, were entertained by Chris to a Turkish meal, visited the Copenhagen University ceremonial hall, saw the brewhouse being transformed to a sculpture gallery, visited the royal stables, even had a ride on a vintage bus. A very good evening.